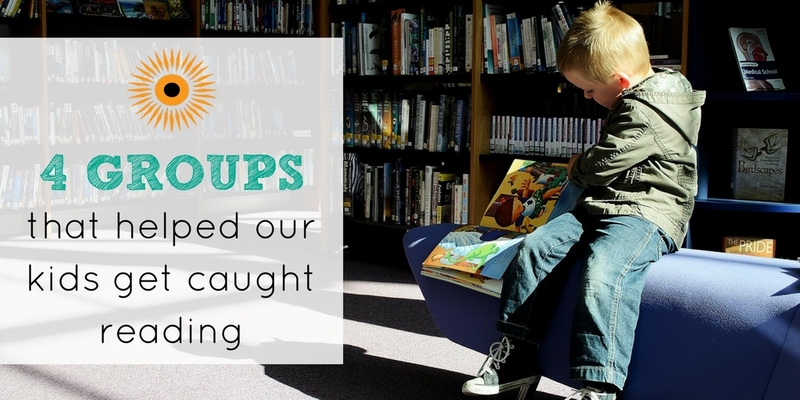 4 Groups That Helped Our Kids Get Caught Reading! These days, it seems like every month there’s a fun theme or holiday to celebrate. May is no exception, and its theme is one of our very favorites – it’s Get Caught Reading month! The idea behind Get Caught Reading month is to remind people of all ages how much fun it is to read. Reading is so important to us at School on Wheels, and we work hard to ensure that our students love to read as well! Each night at tutoring reading for at least 15 minutes is highly encouraged. Every partner location is stocked with a library of books that students can choose from, and every time they finish a book, they’re able to take it home with them to start their own library! In honor of this fantastic month, we want to highlight four of the amazing individuals and community groups that have helped us restock and maintain our book collection this year! We owe a huge thank you to our friends from RTV6 and the Scripps Howard Foundation for playing a major role in keeping our library stocked during the Spring 2017 semester. In January, RTV6 employees pulled together and donated $5,732 worth of books in honor of National Reading Day. This generous donation allowed us to choose over 2,000 Scholastic books that were the perfect fit for our students. 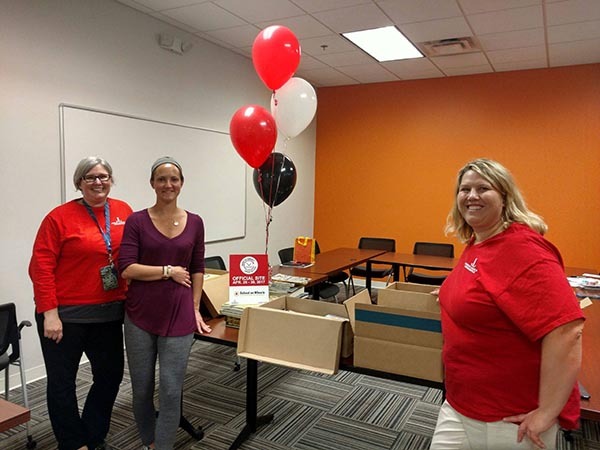 Last month, our long-time partners at Junior League of Indianapolis volunteered in our office as part of their 95 hour Around the Community – Around the Clock campaign. They helped us label books with appropriate grade levels so that students are able to choose books that are just the right fit for them. Chadwick Gillenwater, also known as Professor Watermelon, a local author and creative writing teacher in Indianapolis, held a fundraiser with his family and friends earlier this year. 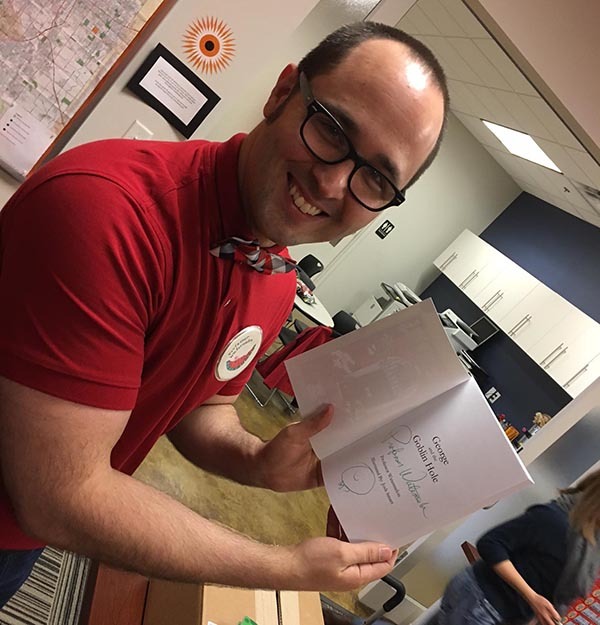 With the funds raised, he purchased over 400 copies of his books – enough for every student in our program this year! This summer, Jennifer Connolly, an Usbourne Books Independent Consultant, has chosen School on Wheels as the charity recipient for her Blooming Bookworms Summer Reading Club! For every book purchased through her website, a portion of the proceeds will be given back to School on Wheels to add additional books to our library! It’s a win-win – be sure to check out their amazing book selection today and support our students! We are so thankful to all of these groups for helping us restock and maintain our book collection for our students. All of this hard work has allowed us to ensure every student in our program will receive a summer reading pack with 8-10 books to read over the summer – one for every week of summer break! We’re so grateful to all of these groups for making it possible! Want to help us get the books our students want most? Check out our Amazon wishlist, updated at least once every other week!